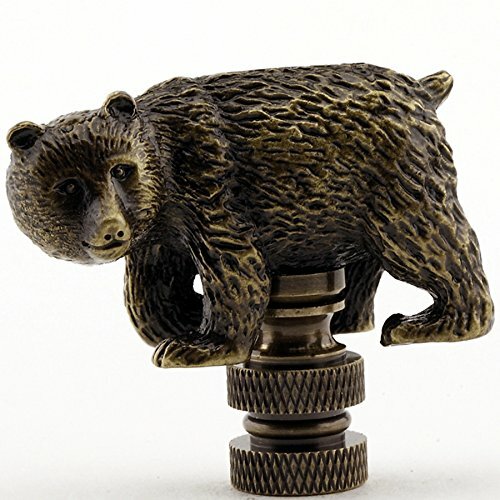 The Walking Bear Lamp Finial is finished in an antique brass finish with highlights on the fur to accent the overall look. It is 1.75 inches high and 2 inches long. It is solid brass with a base that will fit most lamps.